Jordan Brand and Nike‘s annual Black History Month collection returns with one of its largest selections to date. Starting with the Air Force 1 in 2005, the tradition of identifying and appreciating African American culture has evolved into a wide range of sneakers. 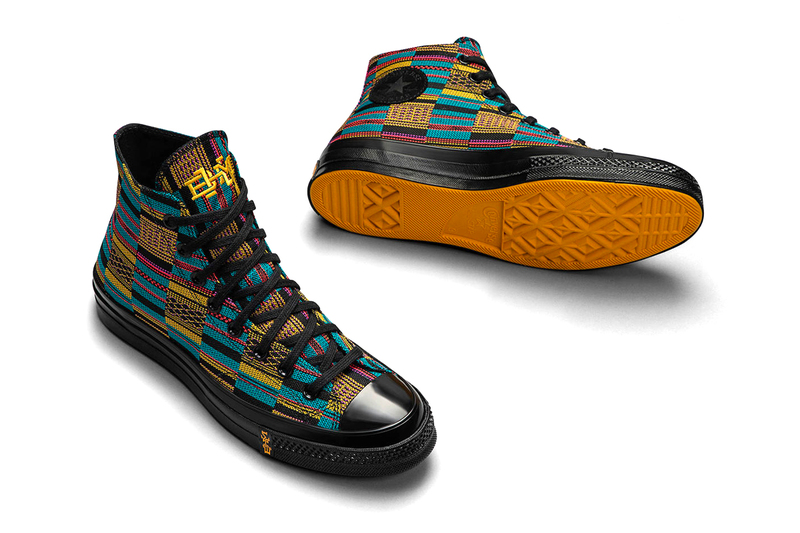 The latest “BHM” collection features an array of African patterns and modernized graphics on kicks from Converse, Jordan Brand and Nike. Converse kicks things off with two editions of the Chuck 70 High donning prints throughout each respective upper and Nike’s signature “BHM” logo on each tongue. Next up is the tennis-ready NikeCourt Flare 2.0 done in black and white with green accents on each Swoosh. Lastly, the contrasting low cut sneaker is topped off with a touch of gold on the tongue as well as its “BHM” stamp just below the lacing setup. Jordan Brand follows up with the previously-revealed Air Jordan 1 Mid “Equality,” Air Jordan 2 and Russell Westbrook‘s second signature, the Why Not Zer0.2. Each model – except for the black and white AJ1 Mid – welcomes a bold mix of colors to complement a black base filled with the patterns mentioned above. The offering also includes with some of Nike Basketball‘s leading models in the mismatched Nike LeBron 16, new PG3, KD11 and Kyrie 5. NSW’s Air Force 1 Utility also bridges the gap between 2005 and now with a modern take on the classic sneaker as it replaces the traditional lacing system with an elastic buckle. 2019’s “BHM” collection will see releases from January 21 to February 20 via Nike SNKRS with prices ranging between $110 and $200 USD. Stay tuned for detailed release news and let us know which model stands out to you the most.